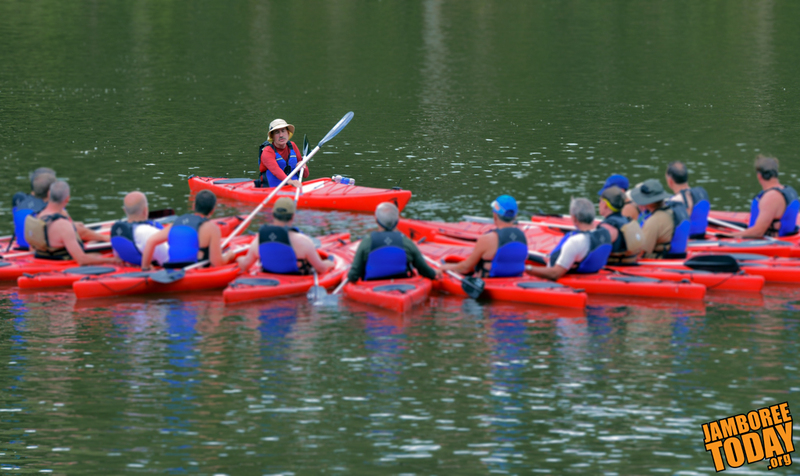 Tuesday is the last chance for Scouts to earn dual kayaking awards at the 2013 National Scout Jamboree. Star Scout Michael Warner is one jamboree participant who has already earned both the Kayaking merit badge and the Kayaking BSA Award at the Summit Bechtel Reserve. "I love kayaking, and it's really easy for me," said Warner, of Phoenix, Ariz. "I don't really know [why]. I guess it's because you only use your arms, not your legs." 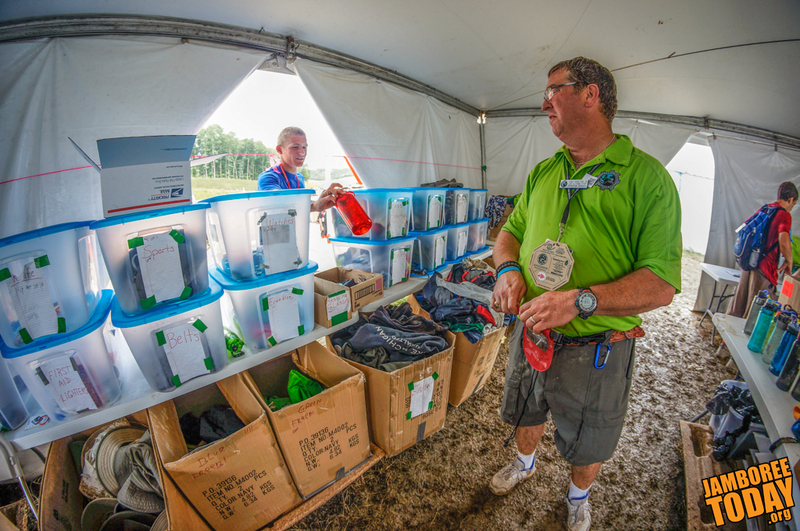 Time is running out for Scouts and Venturers who lost jackets, cell phones, cameras, or other belongings during their adventure at the 2013 National Scout Jamboree. "Lost and found will close today at 8:30 p.m.," says Rob Jeffs, chairman of media experience, in a statement issued Monday. Those who lost something and "want to claim an item [should] go to Sub Camp D-1, Jamboree Headquarters, near the three flag poles." Blisters. One of the worst things that hiking Scouts and Venturers can suffer. 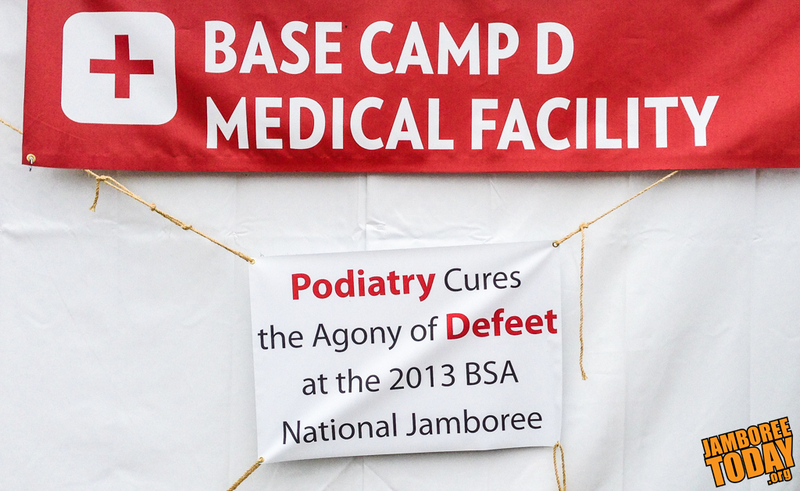 By the eighth day of the 2013 National Scout Jamboree, boots are wet, clean socks are scarce, and feet — well, they need some loving care. Dr. Neal Frankel, one of the jamboree's staff podiatrists (yes, there are podiatrists on staff) has some advice for participants to prevent blisters and help care for injured feet. "Patch trading should be one patch for one patch," says Gumby Petersen, patch trading staff member and patch trader himself. 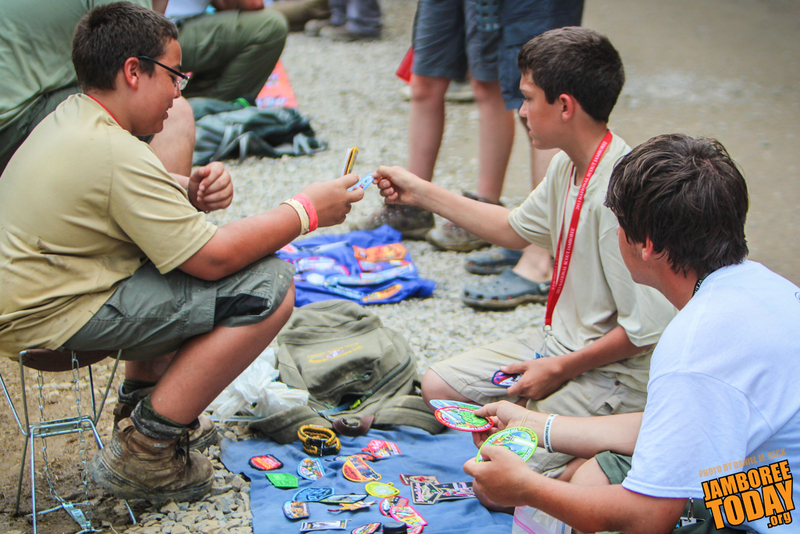 Patch swapping has always been a staple of jamboree activity, this year's is the first that patch trading is programmed for a specific location at specified times and overseen by designated staff. Patch trading is scheduled for several evenings during jamboree, from 6-9 p. m. on the AT&T stadium lawn.